JBC sure had an amazing Ninja and Pirate themed day; counselors and campers arrived in their finest attire to represent their favorite of the two. Aden, a vibrant Stingray camper, even wore his karate outfit! Counselors Rico and Melro started our day off with creative and energetic cheers by both the Pirates and Ninjas. After lunch we had a full-on Ninja vs Pirate dodgeball game for cabana competitions. The Ninja’s won with their stealth and speed, even though Kylie the last Pirate standing battled until the very end. Ashley, the Ninja golden ticket winner, spun the wheel and landed on cream ’em, which is an all time favorite of the JBC campers. 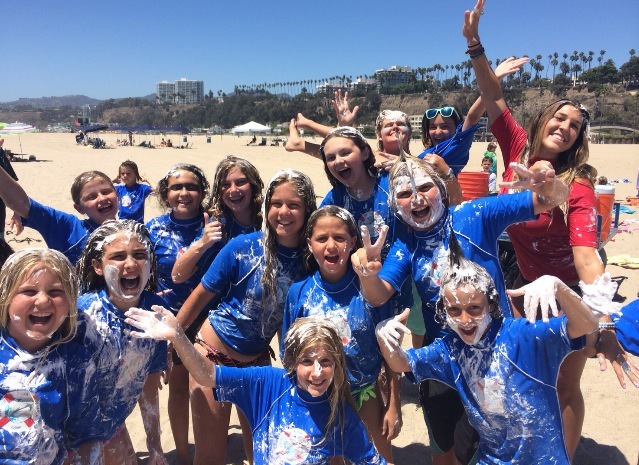 Shaving cream fun ensued at the waters edge to end our theme day at the beach!